Since I was still on east coast time, I woke up super early, with the birds! 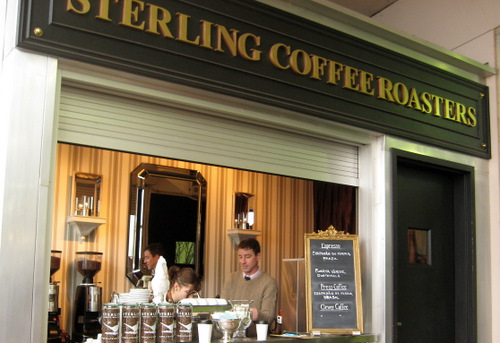 And since nothing much else was open, I went for a very quick walk to Sterling Coffee Roasters, which was just a few steps behind where I was staying. I thought it would be a shop but it’s actually more like just a window! And it’s right next to Trader Joe’s. This place is super snazzy. They roast their own beans and everything is just plain adorable and classy. The menu is simple and sparse, which I love, because sometimes I just get overwhelmed with too much choice. 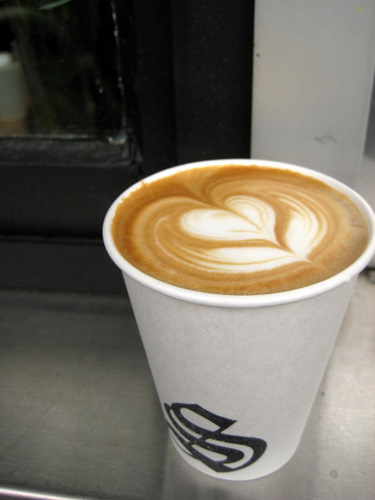 On this cool morning, I thoroughly enjoyed my little latte. Since it’s just a window, everything is to go! I usually put sugar in my lattes, because I’m a low-class weenie, but this time I just got lazy and decided against it. And you know what? It was absolutely perfect, just as is. It was strong, delicious, and sweet enough on its own. 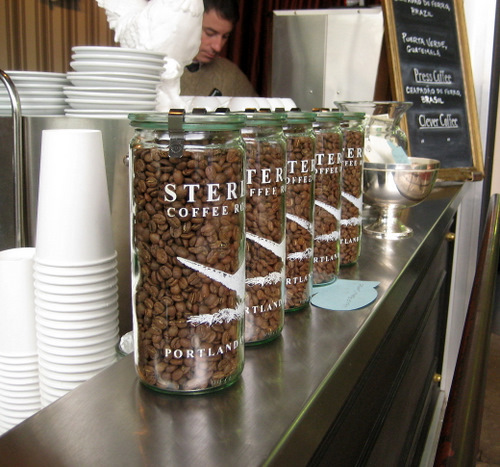 This particular espresso was made with beans from Colombia. The barista had forgotten to update the sign, so he made it a point to tell me as he gave me my latte. When I say little, I do mean little, it was quite small. So for the amount I got, it was a tad on the pricey side. So just pay the extra quarter or two and get the bigger one, because you’ll definitely want more! 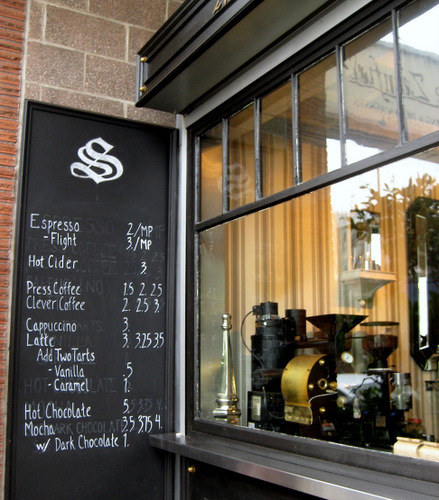 If I lived in portland, this would definitely be my go-to coffee window!